Orlando, FL, June 6, 2010 — Christian author Tarsha L. Campbell, releases her third book, 5 Qualities of a Woman of Destiny. Described as compelling and life-changing, her latest discourse offers a stimulating in-depth look at how Christians can move toward their true purpose while embracing the call of God in their lives. Tarsha has skillfully interwoven both biblical instruction for submitting to a walk of obedience and faith with practical real life issues and challenges that we all face each day. Adjoining each chapter, readers will find notes for personal reflections, meditations, and confessions. The eighty-eight page book inspires piercing thoughts that assists the reader in learning the validity of their place in God’s will. In 5 Qualities of a Woman of Destiny, Tarsha meticulously gives instruction on how women who walk in the divine purpose of God, are those who: 1) Live without fear; 2) Accepts the gifts within themselves and walks in agreement with God’s plan; 3) Encourages the use of gifts in other women; 4) Knows they are blessed because they believe, submit, and obey God; and 5) Lives their lives to magnify and bring praise to God. “This book speaks to the purpose and God-given destination of all women. However, everyone can benefit from it,” notes Tarsha. 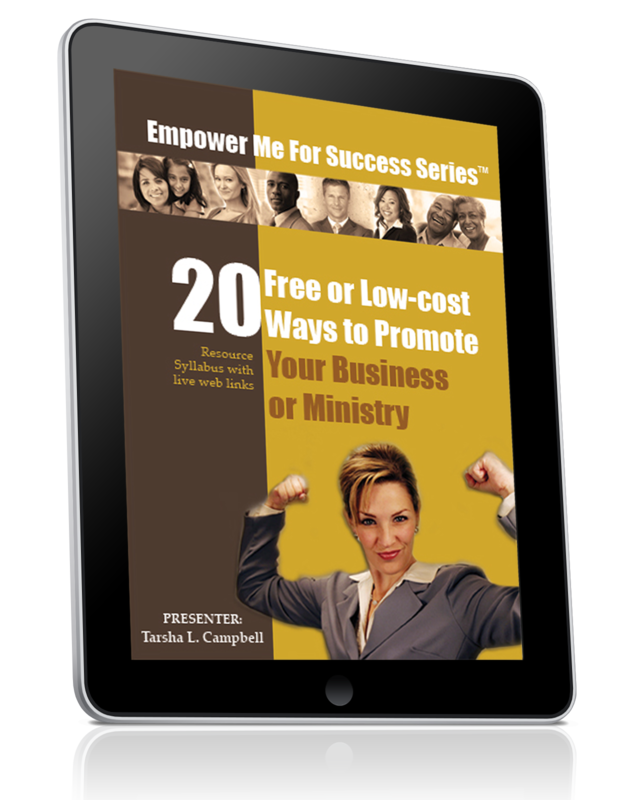 Tarsha L. Campbell is a certified Christian life coach, inspirational speaker, licensed minister, and ministry and business consultant, residing in Orlando, Florida with her husband of twenty-two years and their two children. She is celebrated for her electrifying teaching series, The Woman in the Mirror, and has dedicated her lifework to helping women unveil their God-given identity and purpose. Tarsha is founder and executive director of Revealed International Women’s Empowerment Network, Inc., and Woman of Destiny Life Coaching. Visit her website at: www.revealedinternational.com. Tarsha has two previously written books, Called and Chosen: A Study Guide to Ministry, and Help! I’ve Been Called by God: Easy Steps to Preparing and Delivering a Message. Tarsha is available for book club presentations, book signings, and speaking engagements. She can be contacted at tcampbell7@earthlink.net or 407.703.4800. Learn more about her latest book or order online at: www.revealedinternational.com. The book can also be ordered at www.amazon.com.